Are you looking for the best Brisbane Mobile Vehicle Technicians For Smooth Service? Then, you have reached the right place. 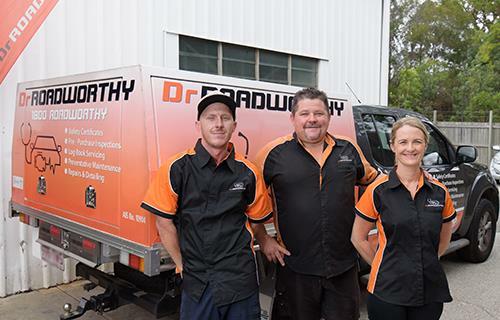 Dr. Roadworthy is committed to delivering you the best possible mobile vehicle mechanics or technician services in Brisbane. Mobile vehicle technicians are extremely important to all of us for services on the go. Moreover, these days, the popularity of mobile vehicle technicians have drastically increased. Due to the rising popularity of mobile vehicle technicians, several companies have stepped into the market. However, very few of them are actually reliable. Most companies will commit a lot, but eventually deliver nothing as per your expectations. Our specialty is our services. We offer the best Brisbane Mobile Vehicle Technicians For Smooth Service. No matter where you are, we are always there for you. This is what makes us unique and better than the others. Hiring a reliable mobile vehicle technician is not an easy task. Although, you will find many in the market, very few of them are actually expert. Most are either amateurs or fake ones who will try to scam you. When you decide to go for a reliable mobile vehicle technician service, always opt for Dr. Roadworthy. We are one of the best service providers in Australia, and has been impressing clients for several years. Our services are tailor made for our customers and we value their money. No matter what kind of services you require, we are always there for you. Our expert Brisbane mobile vehicle technicians are not just any random technician. They are highly skilled and boasts of years of unmatched experience for sorting out all your problems. We offer several services such as general repairs, preventive maintenance, road safety certificates, pre-purchase inspections and a lot more. We operate at most areas in Australia and with every passing day, we are spreading to more places. Visit us and sort all your vehicle problems with the help of our renowned experts. There are 0 comment. on "Brisbane Mobile Vehicle Technicians For Smooth Service"